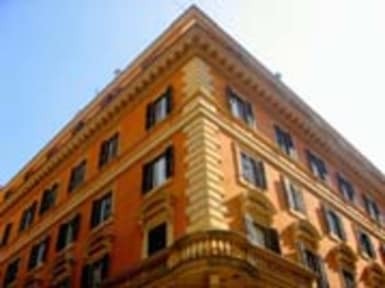 Our 3-star hotel is situated in an elegant building dating back to the late 1800s, close to the famous Via Veneto and within walking distance from the Spanish Steps. From its excellent location all the main tourist sites, such as the Coliseum, the Vatican and the Roman Forum are easily reached. 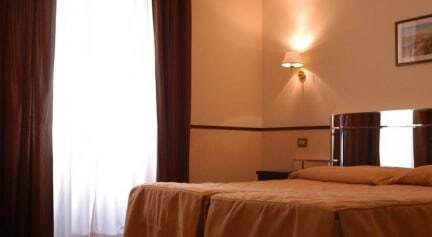 The hotels rooms are comfortable and fully equipped. We have 30 rooms, each equipped with TV, telephone, mini-bar, independent air conditioning, and internet access. Some rooms have small balconies. The rooms atmosphere is made warm and comfortable by the classic-style furniture and they are cleaned by qualified personnel, who have been working for us for many years. All bathrooms are finely finished and equipped with either shower or wash-basin and hairdryer. Qualified multilingual personnel are available to meet all your needs with courtesy. They will advise you on the best ways to visit our beautiful city. They will also be glad to help you organize tours with or without tourist guides, buy tickets for sports or cultural events, find information on the numerous events taking place, and organize transfers from and to airports and railway station. For guests who love outdoor activities, bicycle itineraries have been designed to visit the nearby Villa Borghese Park, its fountains, its small lake and the famous Galleria Borghese with its works of art.